Migrating turtles will shortly be arriving in Montserrat to lay their eggs which they do every year from April to September. This includes leatherback, green, hawksbill and loggerhead turtles. They main nesting season is from the beginning of July to the end of September, and the hatchlings start emerging from the beginning of September and continue until the end of December. Turtles are an endangered species and conservation is essential to the species arrival. The adults are often killed for meat and the eggs eaten, although this is illegal in nesting season on Montserrat. Great efforts have been made with conservation on the island, the turtles’ arrival is monitored, the turtles are tagged and many of the eggs are removed and taken to a hatchery. Since the hatchery was started, a few years ago, the hatchling survival rate has increased to 75%. 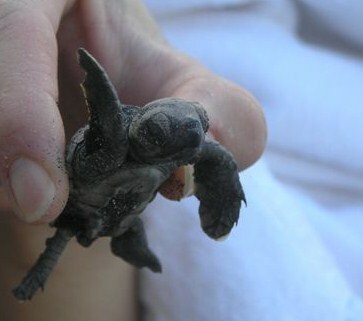 In the wild, it is normally only 10% as many of the hatchlings are picked off by birds and other creatures while making their way from the nest to the sea. Research has been done on island and local people working in turtle conservation such as John Jeffers have contributed to overseas university research, assisting the researchers with their knowledge and experience. The turtles generally lay their eggs at night, digging a chamber which can take an hour or more, before returning to the sea. Migrating turtles return year after year to the same beach to lay their eggs and many of the beaches in Montserrat are nesting sites. Turtle Conservation Montserrat was set up in 2014 to work with other professionals in protecting the turtles. John Jeffers, who is Montserratian and has over 36 years experience of turtle conservation, trains volunteers to work with the turtles while they become involved in turtle conservation. John received an MBE for his work with turtles and is probably one of the most knowledgeable individuals in the Caribbean. The business and marketing side of the business is run by Carolyne Coleby, who has a background in tourism and conservation, and accommodation and meals are provided as part of the volunteer package. The fact that the turtles lay at night, although the eggs are collected in the morning, means that volunteers have most of the day free to explore Montserrat. Montserrat has an active volcano which can be viewed from the Montserrat Volcano Observatory, which also shows films about the eruptions of the volcano, as well as from Plymouth. Plymouth is accessible on tours or by boat. 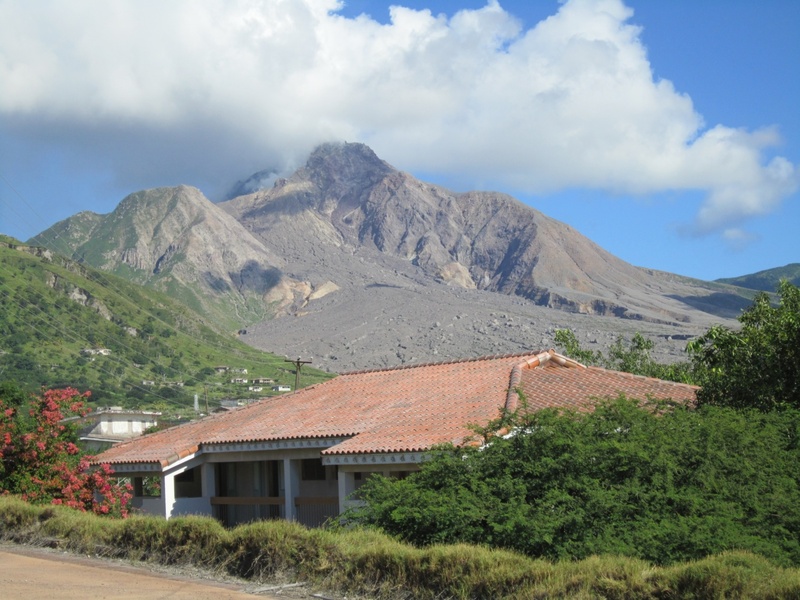 It is the former capital of Montserrat, was abandoned when the volcano erupted in 1997, and is now often referred to as a ‘modern day Pompeii’. It is possible to explore the environs of Plymouth such as Richmond Hill, with its abandoned hotel, by yourself and Cork Hill, another local town, is at present being rejuvenated with hopes to reoccupy at some time in the future. There are often street jams on a Friday night in Cork Hill which only started after former residents returning in March for the St Patrick’s Day celebrations started renovating the village. The Centre Hills provide excellent rainforest and mountain hiking, with many trails that have recently been cleared. There is also plenty of opportunity for scuba diving, snorkelling, kayaking, quad biking, boat and fishing trips. Montserrat really is a nature lover’s paradise and is a pristine environment where you can be very close to nature. It is excellent for photography. From April through to June, migrating whales pass the island. Scuba Montserrat, a local diving outfit, were lucky enough to see a humpback whale and her calf while taking tourists out on a recent boat trip. The whale spent some time with them and they got great videos and photos. ‘Liming’ is also a popular pastime. Liming is shooting the breeze at one of the many rum shops on island where you can sample everything from coconut rum to locally made bush rum as well as the usual beers, other forms of alcohol and soft drinks. There is a fair choice of restaurants and snack bars on island, including the award winning Olveston House, home of the Beatle’s manager, George Martin who had Air Studios on Montserrat, to John Ponteen’s Beach View at Little Bay which does excellent barbeques on Sundays with local fish or chicken and ribs and has a bar. The architecture is unique – John built the restaurant himself with rocks he carried there and it sometimes has hummingbirds inside, as well as lots of tropical plants. There is also a veranda out over the sea. Beaches are generally very quiet and you may find you are the only person on the beach. There are a variety of black sand beaches which are popular, including Lime Kiln and Woodlands, as well as a white sand beach at Rendezvous Bay accessible only by hiking or kayaking and it is definitely worth a visit. 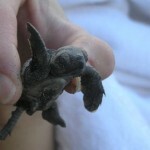 For more information about Turtle Conservation Montserrat, visit their website.